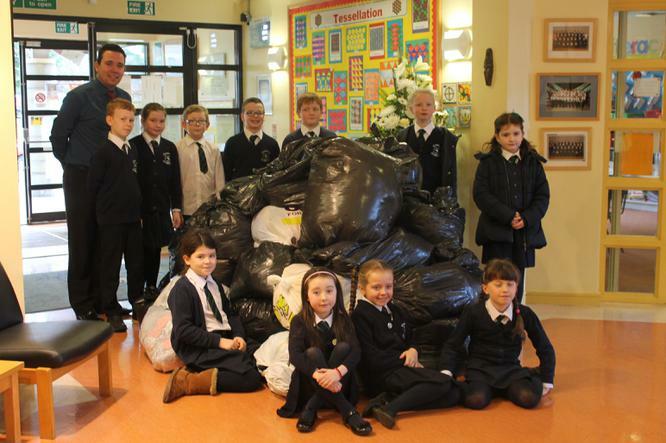 Many thanks to all our parents who brought in so many bags for our recent collection. 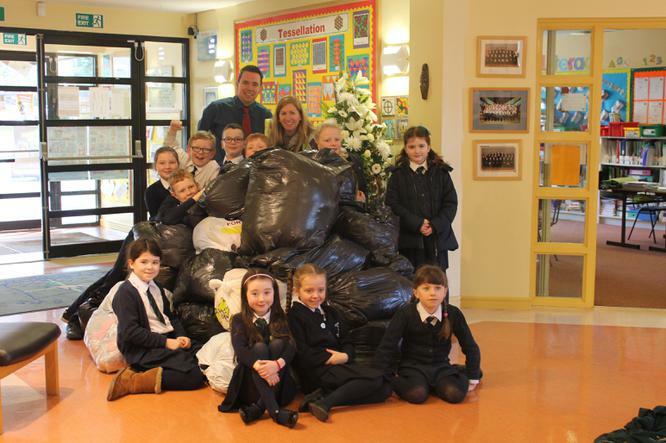 Our Eco team helped to round up the swarm of black bags and ship them out of St. Joseph's to be recycled. You can still continue to drop black bags into the school office as we build up to our next collection.